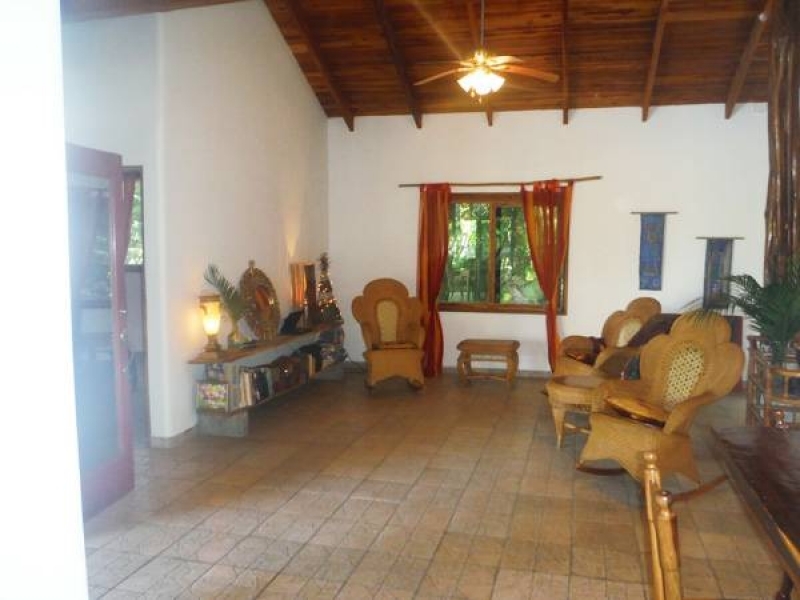 Safe secure and secluded area estate house with over 2000 square feet and a lot of .63 acres. 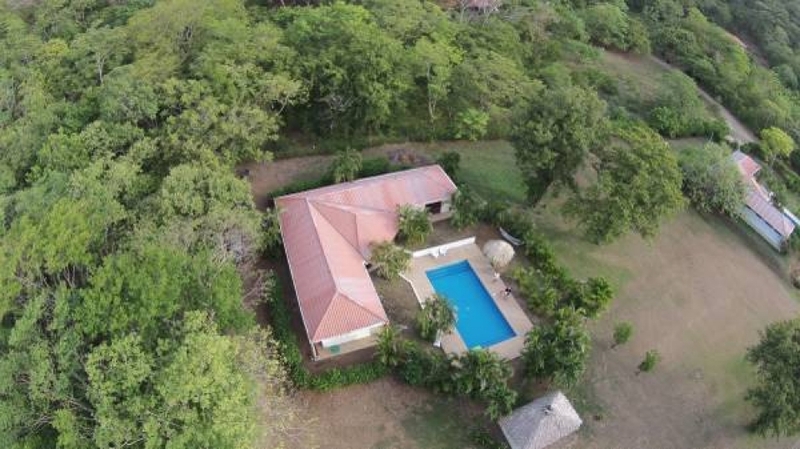 The property is situated in a small private community of custom estate homes in an ideal location between Tamarindo and Flamingo beaches and within walking distance to downtown Huacas. 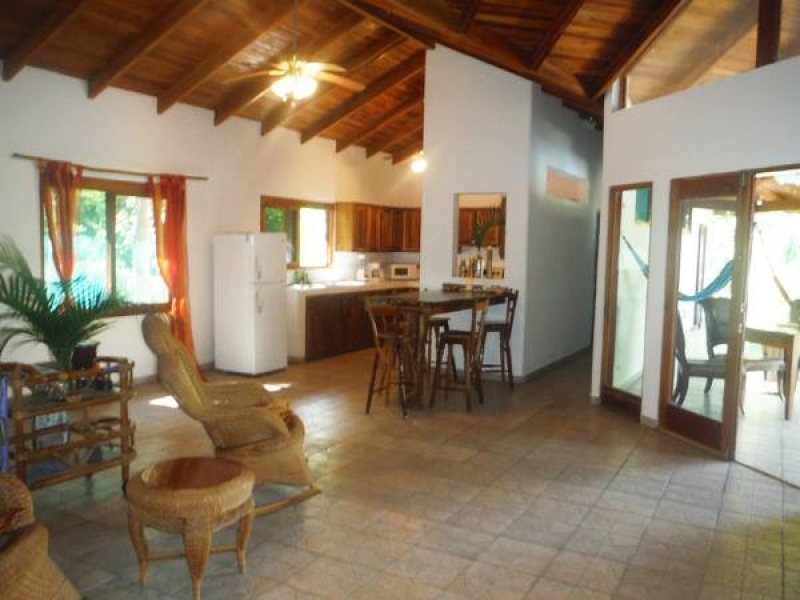 3 bedrooms2 bathrooms with large high vaulted teak ceilings throughout the entire house gives a very open feel. Tinted windows, washer / dryer, new stove, microwave, flat screen TV & A/C. All furniture and appliances are included in the asking price. 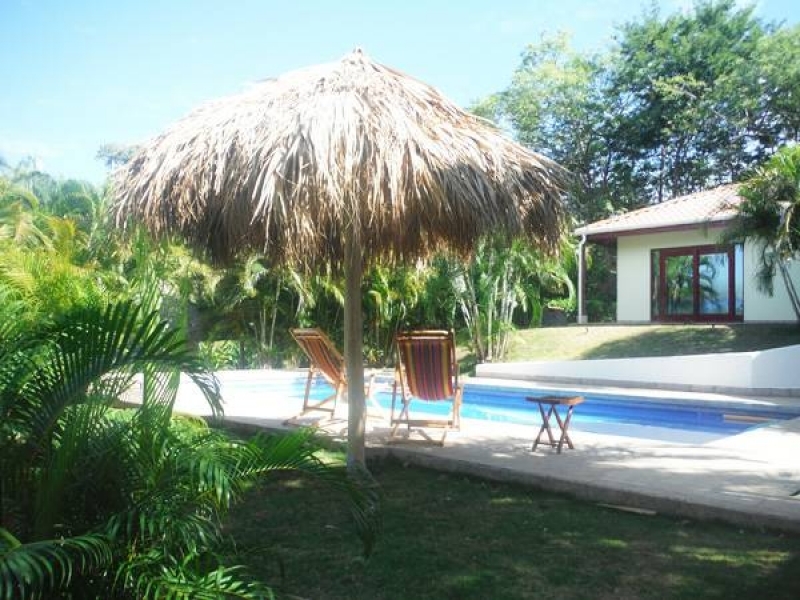 Enjoy flora, nature and wonderful views from the large deck around the pool side of the house. This estate home has beautiful non-skid custom glossy tiles throughout both the inside and outside of the house including stairs and decks and around the pool. 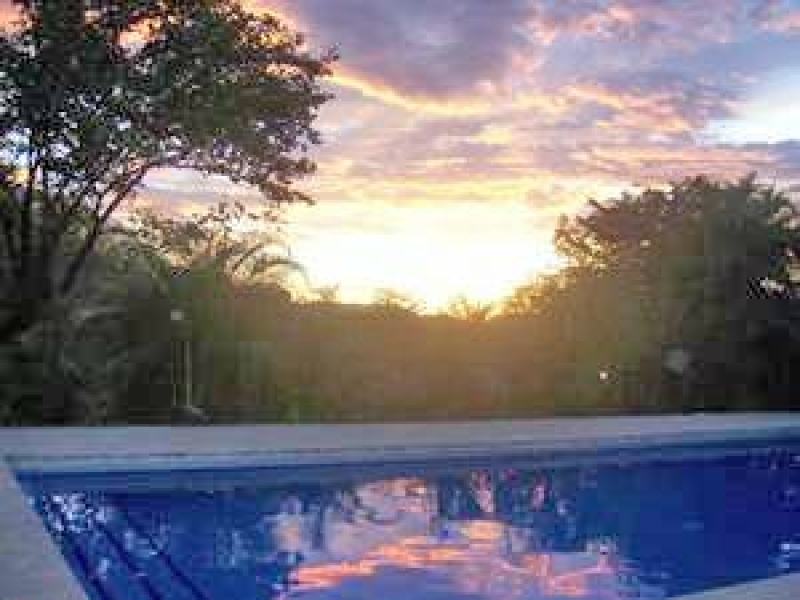 The custom large pool perfect for swimming laps or playing water games. Beautiful mixed flora with tropical gardens. 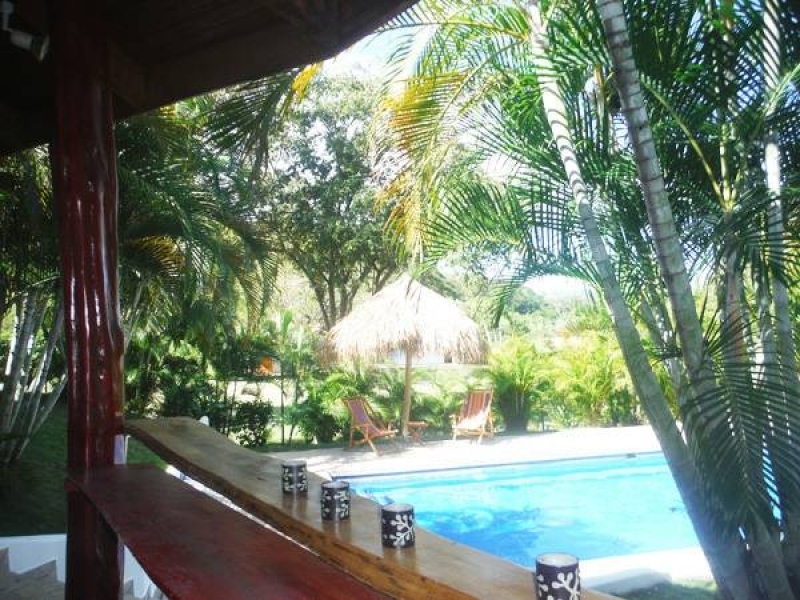 A casita is located near the pool with an outdoor shower, indoor toilet and storage. There are excellent valley and sunset views. 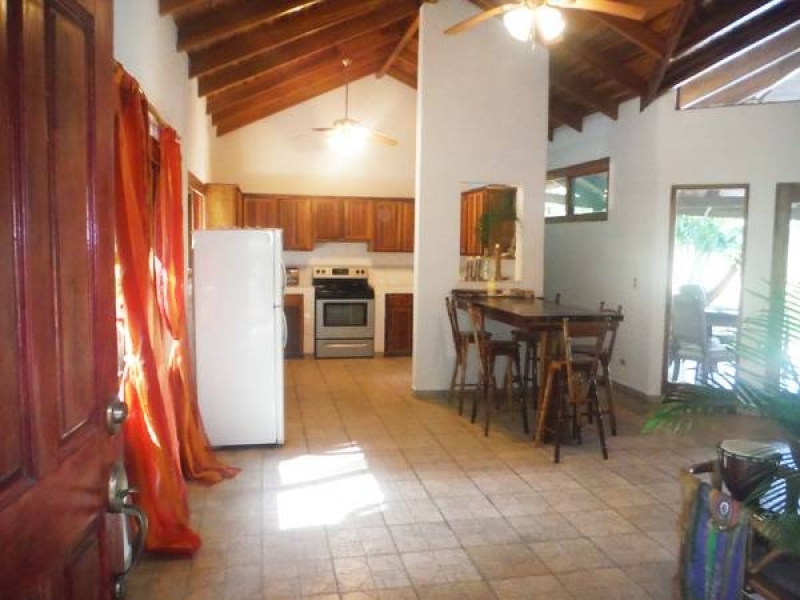 With only a 10 minute drive to Tamarindo and a 12 minute drive to Flamingo; this house is ideally located. You are less than 1 kilometer (walking distance) to local Shopping, Doctors, Pacific Emergencies (Ambulance service), Dentists, Pharmacy, Optical, Veterinarians, Hardware, Green Houses, Florists, Clothing, Service Station, Lawyers, Bakery, Restaurants & Bars, 4 Bus lines, Taxis, Auto repairs, Pool Service, Furniture, Home Improvements, ParksHealth & Fitness Gym, Healing Center, 2-New Super Markets and much more. Enjoy local activities like Sailing, Fishing, Great Surfing, Kayaking, Golfing, Shopping, Restaurants and only 10 minutes from the renowned “Country Day School”. Also located within 15 kilometers you will find 3 PGA Golf Courses: The Westin Resort & Spa (formally Meila)Hacienda Pinilla and Rancho Las Colinas. 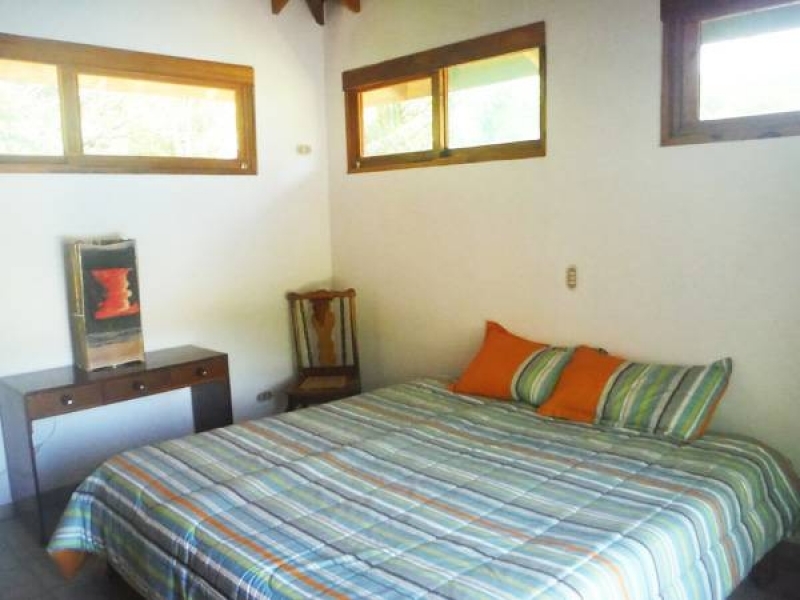 From Huacas you can reach different beaches: Playa Tamarindo 10 minutes. Playa Grande 15 minutes. Playa Conchal 10 minutes. Brasilito 8 minutes. Playa Flamingo 12 minutes. 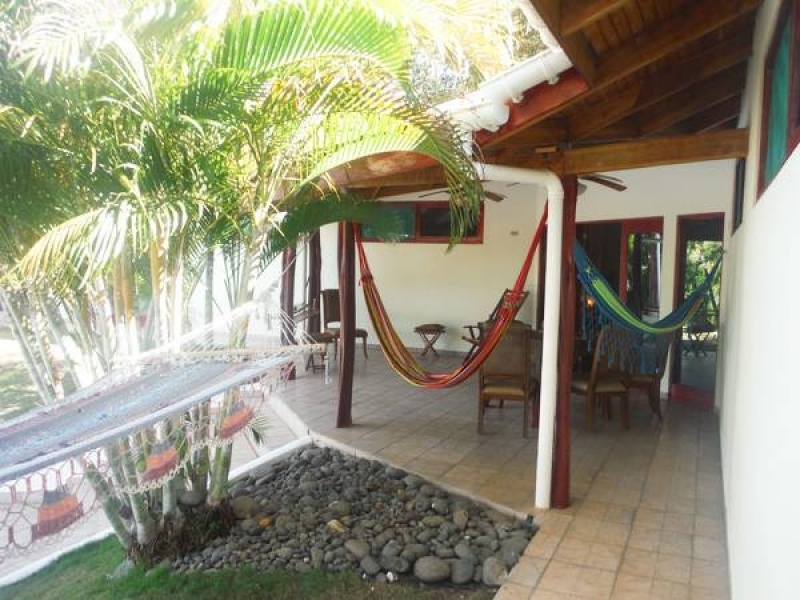 Also nearby are Playa Avellanas, Playa Piratao & Sugar Beach. Also conveniently located within 45 minuets from the newly expanded Liberia International Airport. The adjacent lot of .63 acres is also available for sale.